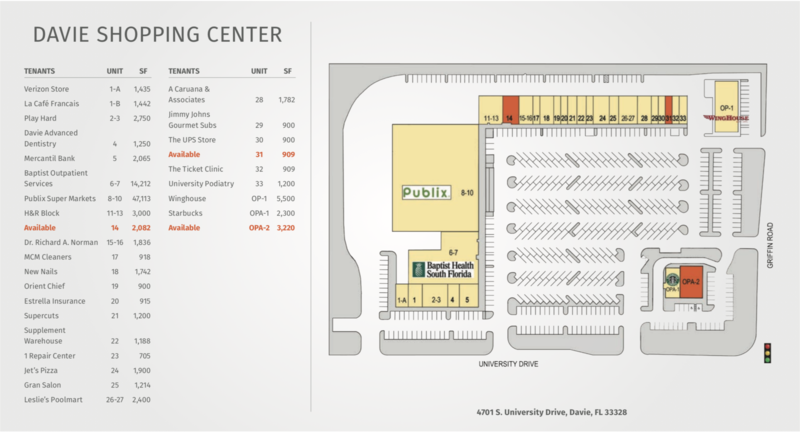 Located on the SW corner of S. University Dr. and Griffin Rd., this flagship Davie center is undergoing a reconstruction and expansion of Publix. 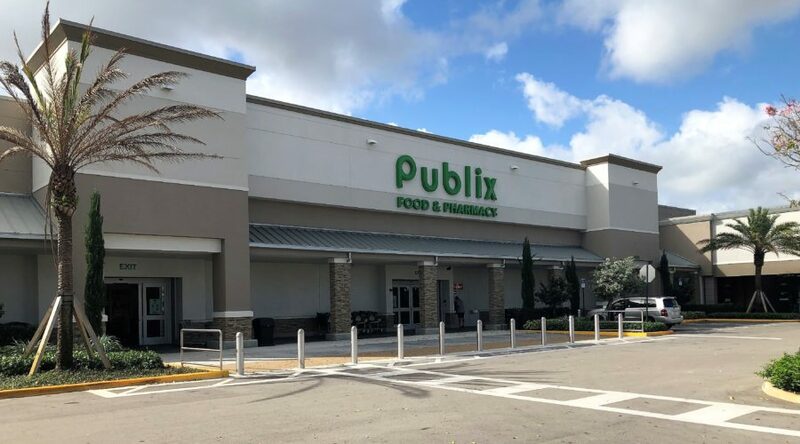 The brand new Publix store is scheduled to open in the first quarter of 2018. 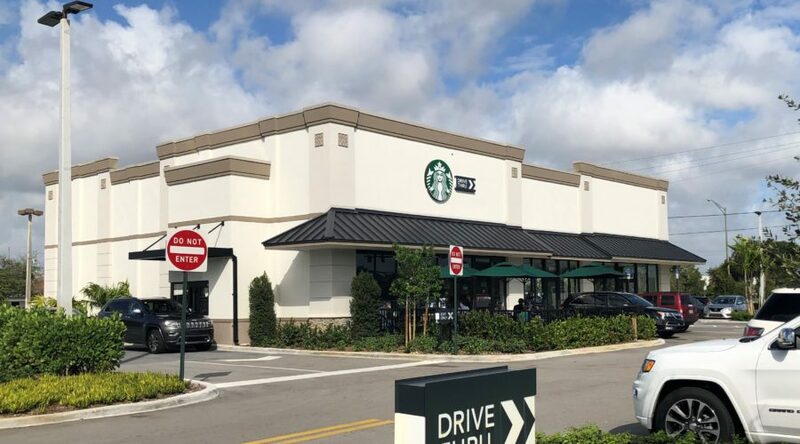 Other national retailers include Starbucks, Verizon Wireless retailer, Jimmy Johns and Leslie’s Pools. 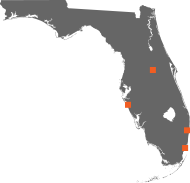 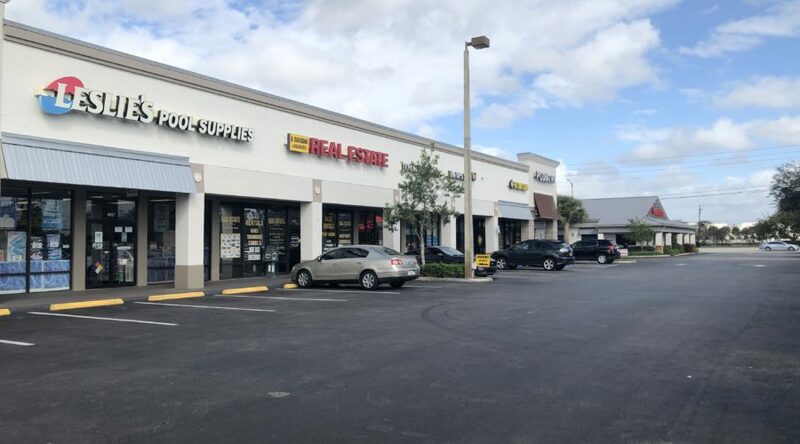 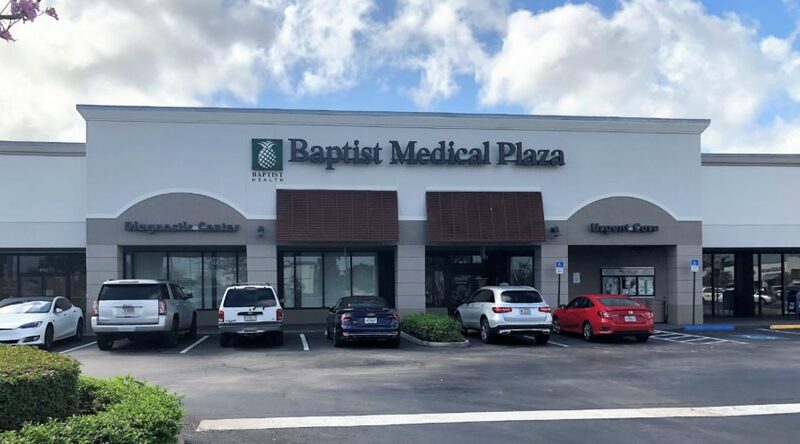 Tenants at Davie Shopping Center benefit from combined daily traffic counts of an impressive 88,000 and convenient ingress and egress on both major thoroughfares.